Mesothelioma survivors, caregivers and families across the nation need your signature to ban asbestos now. September 26 is Mesothelioma Awareness Day. It serves an important purpose: Increase awareness of mesothelioma and get people to take action so future generations don’t have to face this incurable disease. Raising awareness helps people understand asbestos exposure is the primary cause of mesothelioma. If we can eliminate asbestos exposure, we can eliminate mesothelioma. The Asbestos Disease Awareness Organization (ADAO) is championing a petition telling the Environmental Protection Agency (EPA) to ban asbestos without loopholes or exemptions. ADAO plans to hand-deliver the petition to members of congressional leadership on Mesothelioma Awareness Day. They need your help to reach 150,000 signatures. “As we embrace Mesothelioma Awareness Day and action to end the asbestos man-made disaster, we encourage everyone to sign the petition urging the EPA to ban asbestos now without loopholes or exemptions,” said ADAO President and CEO Linda Reinstein. ADAO started the petition to ban asbestos in June 2017. At the time, the EPA was in the early stages of a risk evaluation process for asbestos and invited the public to comment. The goal was to get as many signatures as possible and submit the petition to the EPA. Within a few weeks, the petition garnered more than 10,000 signatures. It was added to the EPA’s official record on asbestos, making it clear that thousands of people wanted asbestos banned. In June 2018, the EPA announced its Significant New Use Rule for asbestos. The rule would allow for new uses of asbestos under an EPA review. ADAO fought back and promoted the petition again, gaining tens of thousands of signatures from citizens who were shocked to learn asbestos wasn’t already banned. By the end of August, the petition had nearly 95,000 signatures. Get your free mesothelioma awareness wristbands to show support. As of Tuesday, more than 117,000 people have signed the petition to ban asbestos. 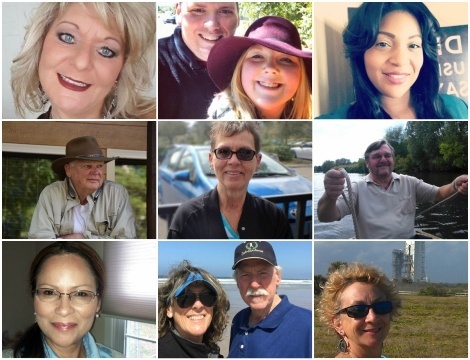 Mesothelioma survivors and their loved ones are advocating for a full ban because even limited exposure to asbestos can cause mesothelioma later in life. Several health organizations, including the Agency for Toxic Substances and Disease Registry and World Health Organization, have proven there is no safe level of asbestos exposure. In addition to signing the petition to ban asbestos, you can show your support in other ways. These signs of support mean a lot to families affected by mesothelioma. Your support today might protect future generations from asbestos-related disease. ADAO. (2018, August 30). Nearly 95,000 Petition Signatures Urging the EPA to Ban Asbestos in the US Now, Without Loopholes or Exemptions — Next Target is 150,000. ADAO. (2018, June 1). The EPA Turns a Blind Eye on Deadly Asbestos Legacy in Homes, Schools, Workplaces, and Our Environment. Change. (n.d.). Ban Asbestos in the US Now, Without Loopholes or Exemptions. ATSDR. (2001, September). Toxicological Profile for Asbestos. WHO. (2014). Towards Elimination of Asbestos-Related Diseases in the WHO European Region.